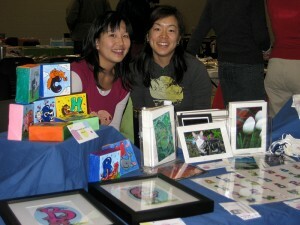 More recently, Ladyfest’s Holiday Craft Sale was also memorable, since it’s SUCH a rockin’ event in every way — amazing vendors and incredible turnout. It was an absolutely overwhelming experience, a blur… and NOT just because I only had 45 minutes of sleep the night before. The other type of shows I’ve been lucky enough to see recently have taken place in Tim & Amanda’s new abode — two house concerts to warm up the house. 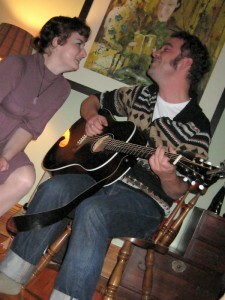 The first one was with Jenn Grant and Justin Rutledge. I’ve been JR’s fan for awhile now, but Jenn was new to my ears, and I’ve been slightly addicted to her since. 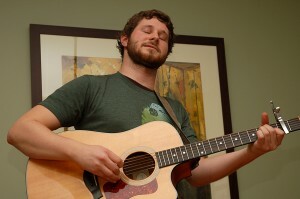 The second house concert Timanda had was with Ottawa’s own Jill Zmud and Vancouver’s Dan Mangan. Jill’s sweet voice put a big smile on me, and Dan quite simply blew me away. I’ve been feeling über-lucky lately. Lucky to be able to do stuff I love, to have such a great group of folks to call friends, and to get to experience firsthand some incredible talents — artisans and musicians alike. The one thing I’m seriously lacking these days though… sleep. Without further ado: zzzzzzz. have time I will be back to read more, Please do keep up the superb job.